There’s more to lunch than sandwiches, y’know. LUNCHTIME CAN BE the highlight of your day or the bane of your existence – kind of. If you’re a fan of wandering around the shop or cafe wondering ‘what will I eat today?’ every single day of the week, then by all means, have at it. Most of us, though, would consider this something of a necessary evil – which can be mitigated by making yourself a something a little less ordinary every now and again. To help you out, we’ve rounded up six international lunch inspirations. Let us know if you try them, in the comments below. A bento box is a Japanese creation and is basically a way of packing your lunch box into separate compartments or sections. 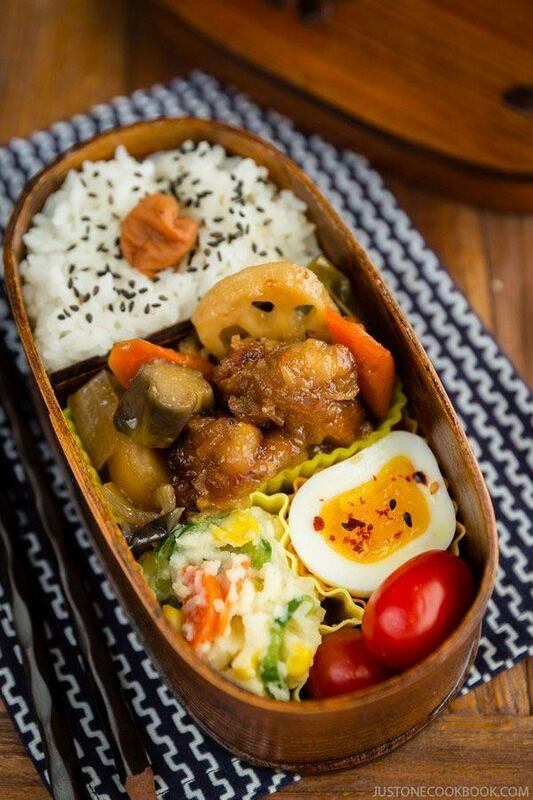 So there’s no ‘recipe’ as such – it’s more a collection of food that goes well together – like the sweet and sour chicken bento above. How do your kids’ lunchboxes compare? Eh? These spicy spring rolls are probably different to what you’re used to picking up in a takeaway of a Saturday evening. They’re much lighter and filled with fresh vegetables and herbs, and accompanied by a spicy dipping sauce. This recipe uses chicken and shrimp, but you can use any meat or fish that you like, or omit altogether for the vegetarians. This chicken stew is a hearty winter time meal, and any leftovers can be used for a delicious lunch the next day. Slightly similar to a traditional Irish stew, it’s got potatoes and carrots at least, but with lots of additional flavour, it’s a nice alternative to an Irish stew, if you’re looking for a change. This soup is packed to the gills with fresh vegetables as well as farro, a type of grain. If you can’t get your hands on farro you could of course keep it traditional and just add some pasta shells (or whatever other shape takes your fancy). What you have in your fridge can dictate what goes into this soup – it’s incredibly versatile, so it could be carrots and courgettes one time, or celery and leeks another. This curry recipe takes a bit longer than you’re probably used to – but only if you make the curry paste from scratch. We won’t tell anyone if you pick up a jar in the supermarket, don’t worry. Once the hard part (the paste making) is out of the way, though, you can get down to business. And it’s a pretty simple business. All in all it takes about 30 minutes to cook and then you have a delicious massaman-style curry to devour – and make everyone at work jealous the next day. Stirfrys are such a quick meal to make and this noodle stirfry with bak choi or Chinese broccoli (although you can use normal broccoli if you can’t find bak choi) is no exception. It might use a few more ingredients than you’re used to if a dash of soy sauce is what is usually thrown over your stirfry, but the sweetness of the sugar offsets the dry white wine and together with the oyster and soy sauce creates a lovely sticky flavoursome sauce to devour. You could eat this cold the next day for lunch – or it would heat up well in a microwave if you have access to one at work. Are you inspired? Will you try any of the recipes? Let us know in the comments below. Email “Spice up your lunch - 6 delicious suggestions from around the world”. Feedback on “Spice up your lunch - 6 delicious suggestions from around the world”.